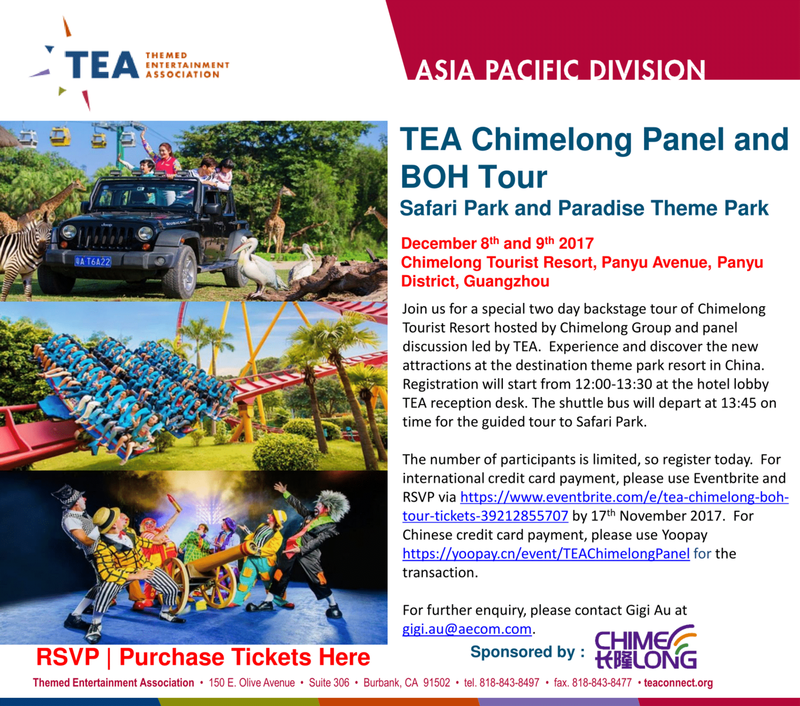 One of the foremost theme park destinations in Guangzhou, China is Chimelong Safari Park and Paradise, and this was the site of a two-day tour for Themed Entertainment Association (TEA) members and other industry professionals on December 8-9, 2017. Many thanks to host Chimelong for their hospitality, participation and support for this event organized by the TEA Asia Pacific Division. It was a memorable behind-the-scenes experience and presentation that helped the 50 attendees understand the success of the park. 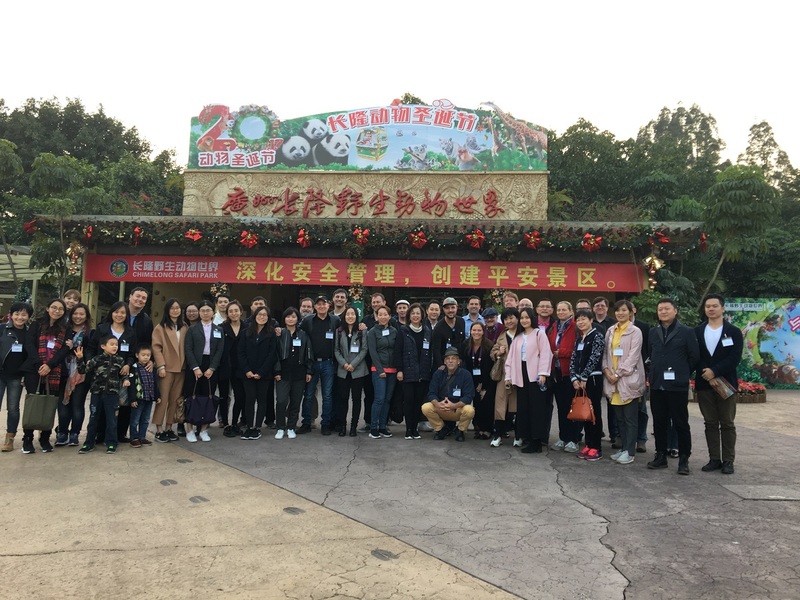 The group was first welcomed to visit the 130-hectare Chimelong Safari Park, acclaimed as the largest wildlife park in China. In a newly built, 3km-long, cable car journey, the glass flooring and state-of-the-art design features enabled a bird’s-eye view of the park's extensive animal population. We were also invited to explore at closer proximity, visiting the conserved panda zone and feeding giraffes. 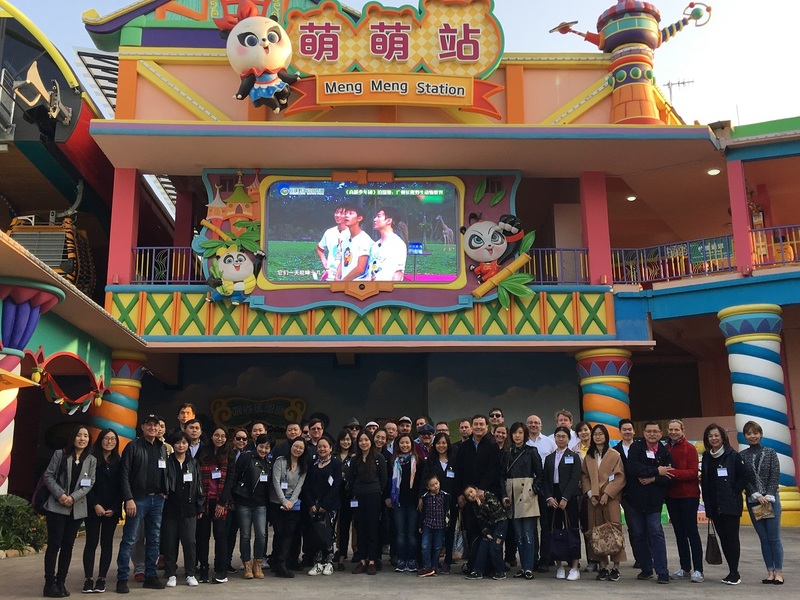 Chimelong Paradise Theme Park is an extensive property, featuring more than 70 rides and attractions, many of which represent international collaborations: projects using an internal/external team model and drawing on suppliers and creatives from around the world. 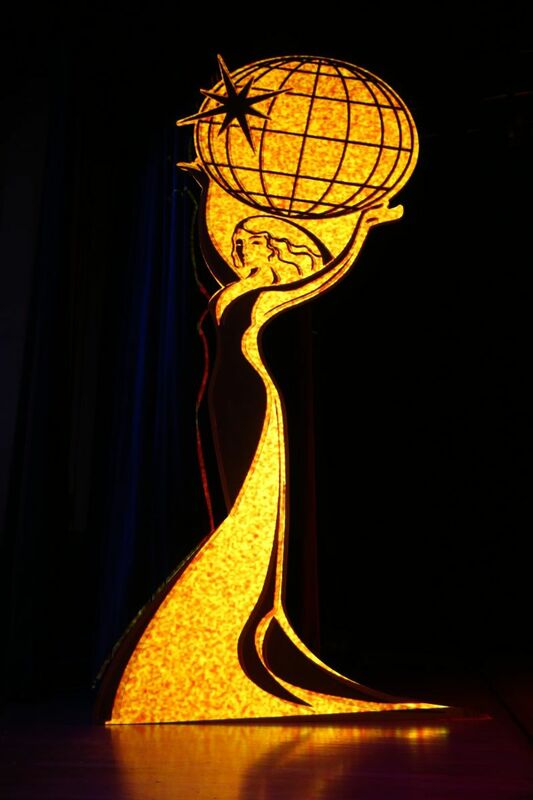 Many of these rides are unique to China and some have received worldwide attention, including the park's ten-looped roller coaster and vertical roller coaster, and its 5D Castle Theater, which was recognized with a TEA Thea Award. The tour of Chimelong Paradise Theme Park allowed the group to experience many of the park's rides, including some of its newest additions. 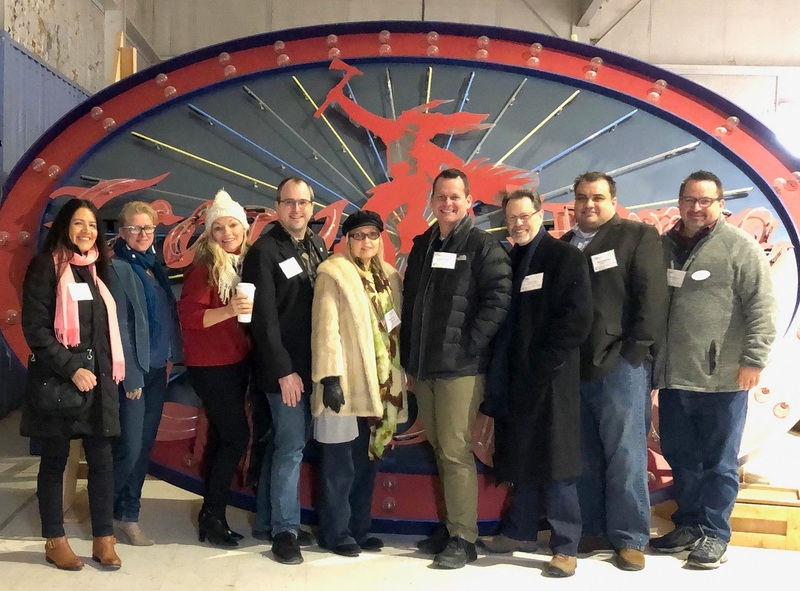 This also provided the opportunity for a first-hand, close-up look and conversation about the design and installation process, and about the park's continual process of upgrading and reinvesting in order to provide the best experience to visitors. Another highlight of the tour was the performance of the Chimelong international circus - a grand spectacle in what is considered to be the largest circus stadium in the world. The panel discussion, “Successful reinvestment strategies and attraction case studies," was a key element of the two-day program. 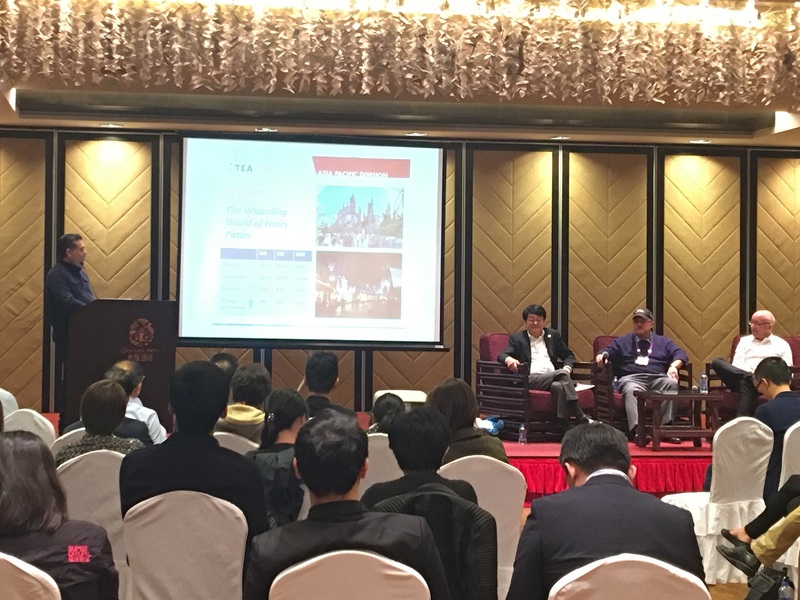 The panelists included Tony Sze (Senior Counselor of Chimelong Group), TEA Past President Keith James (Chief Executive Officer of JRA) and Mark Wijman (Director of LKF Attractions). Panel moderator was Carlos Miranda of AECOM Hong Kong (Director, Program Management - Theme Park). During the panel discussion, Tony Sze shared insights about the 5D Castle Theater. He emphasized the importance of government policies that interconnect the guest experience and overall attendance in the theme park industry. Special thanks to TEA Asia Pacific Board member Chris Ho of Chimelong (General Manager, International Business Dept.) for his efforts in helping organize this event and make it a success. All in all, this gathering was an excellent opportunity to meet and network with professionals from a variety of industries connected to themed entertainment, supporting the efforts of TEA and the TEA Asia Pacific Division to enrich and grow the industry and serve the TEA membership. 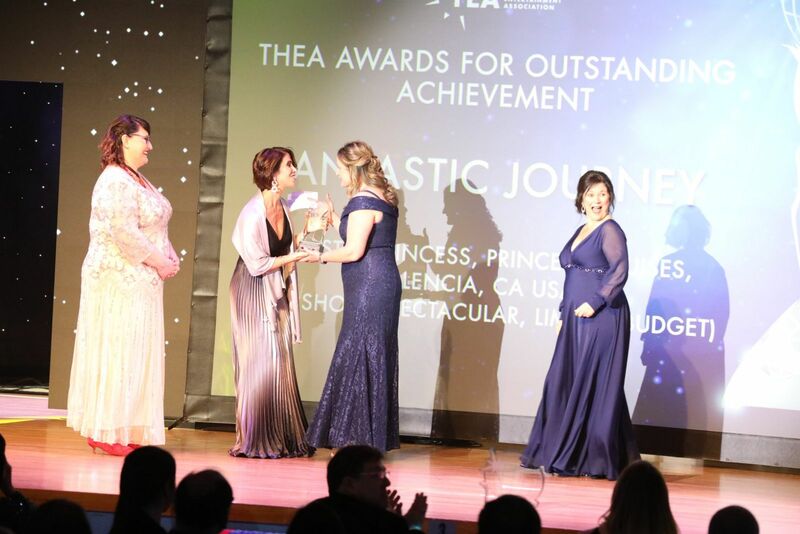 Chimelong Group is a valued TEA Global Partner, and also the Presenting Sponsor of the 2018 TEA Thea Awards.